In this talk, Simon will present a perspective on the daily arms race security professionals in the payment arena fight against their criminal counterparts. Focus will be placed on how criminals monetize their activity using payment and banking networks to cash out their illicit gains, and what they spend that money on. 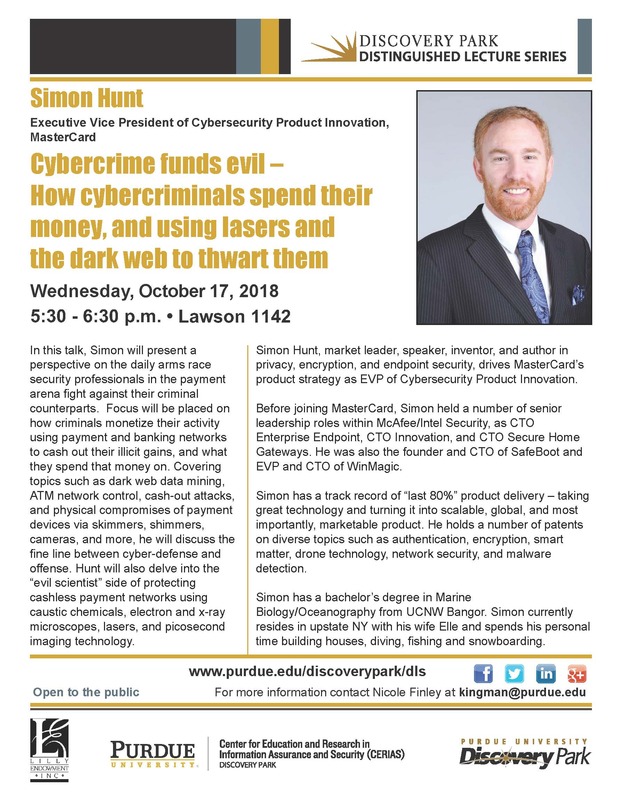 Covering topics such as dark web data mining, ATM network control, cash-out attacks, and physical compromises of payment devices via skimmers, shimmers, cameras, and more, he will discuss the fine line between cyber-defense and offense. Hunt will also delve into the “evil scientist” side of protecting cashless payment networks using caustic chemicals, electron and x-ray microscopes, lasers, and picosecond imaging technology.